Feminine power is not about pushing, Feminine power is being present to allow things to unfold and emerge naturally. Yet how we’ve been trained in our society when it comes to new beginnings is anything but feminine power. 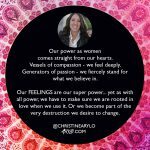 From a new baby, to a new relationship or friendship, a new job, new home, new project or new phase of life – we do not get the space we need for our bodies, minds, souls and spirits. Instead we feel and put internal pressure on ourselves to hit the ground running and don’t take the space needed. Instead of savoring the experience we stress out during it. Instead of allowing things to unfold, we rush the process, and rob ourselves. Relationship, we rush in to intimacy too fast and give our bodies and hearts away before the relationship foundation is strong enough. We so desire to be safe, loved and to know it ‘will work out’ we miss the dance of growing intimacy. Giving birth, we go back to work weeks or a few months later, because we live in a system that doesn’t honor human life force, the mother or the need to be nurtured. New projects, new homes, and any new beginning, we don’t give ourselves the space to settle in and let things unfold and emerge, to savor the experience. We stress the whole way through to get it done, missing the beauty. Finishing school or finishing a project we complete one milestone and think we are supposed to have it all figured out to start the next thing now. This is systemic. Inside the systems and inside of ourselves. The result? Huge amounts of stress, and pressure caused by truncating the space needed for endings and beginnings … such precious sacred time. Choose to give yourself the space needed to savor the new beginning … if you don’t give yourself the space, no one else will. Why we don’t give ourselves space in between jobs, or after having a baby or a health situation, or any time we know we need the space, but screw ourselves out of it. 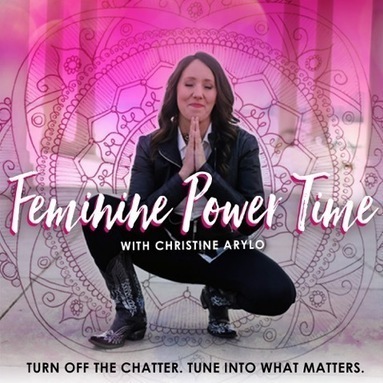 Challenge the systems to why we accept societal norms like women having babies and going back to work 3-6 weeks later, or ending one job and starting a new one two weeks later, or finishing college and jumping into a job right away … and on and on..
Christine Arylo, known for teaching feminine wisdom in ways that are practical and powerful for women today, offers a different way to lead through the changes and transitions and new beginnings in your life – the feminine wisdom way where you UNFOLD, EMERGE and SAVOR. Error: Error validating access token: Session has expired on Friday, 19-Apr-19 12:24:14 PDT. 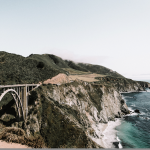 The current time is Wednesday, 24-Apr-19 09:04:24 PDT.